There is a good chance that monarch butterflies will face a “quasi-extinction” in the next 20 years, researchers warn. Despite a favorable summer in 2015, the eastern migratory population declined 84 percent between 1996 and 2014. Quasi-extinction means that so few individual monarchs would exist that their migratory patterns would collapse and the population likely wouldn’t recover. For a new study, published in the journal Scientific Reports, researchers used historic trends to develop models that forecast future monarch populations. The team factored weather patterns and natural variations into the simulations and figured out the probability of the overall population sinking to various thresholds that could lead to quasi-extinction. The researchers tracked the current population of monarchs by measuring the area of land they occupied while overwintering in central Mexico. This year’s population covered a geographical area of roughly 10 acres, an improvement from its lowest point of about 1.7 acres during the winter of 2013-2014. But that increase in population can be deceptive as it stems from favorable summer weather—not as a result of conservation efforts. The varying population thresholds account for the wide gap in the probability between 11 and 57 percent for the chances of quasi-extinction. Scientists don’t know exactly how low the monarch population would have to sink to collapse their migratory patterns, so researchers examined several scenarios. The size of the population at the overwintering sites in central Mexico averaged about 18.5 acres between 1994 and 2006. That area has shrunk to just over seven acres on average since then. The loss of milkweeds, upon which monarchs rely to lay eggs and feed caterpillars, has played a major role in the decline of the population in North America. Milkweeds have all but disappeared from Midwestern agricultural fields over the last 15 years due to the use of herbicides that contain glyphosate. 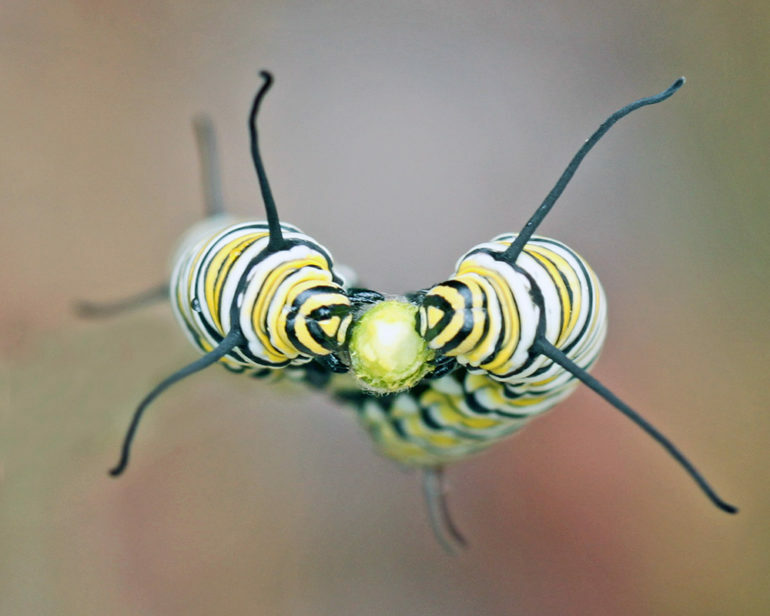 The lower number of milkweeds on the landscape has imposed a ceiling on the monarch population capacity that can’t be lifted without a dramatic expansion of milkweed outside of agricultural fields. 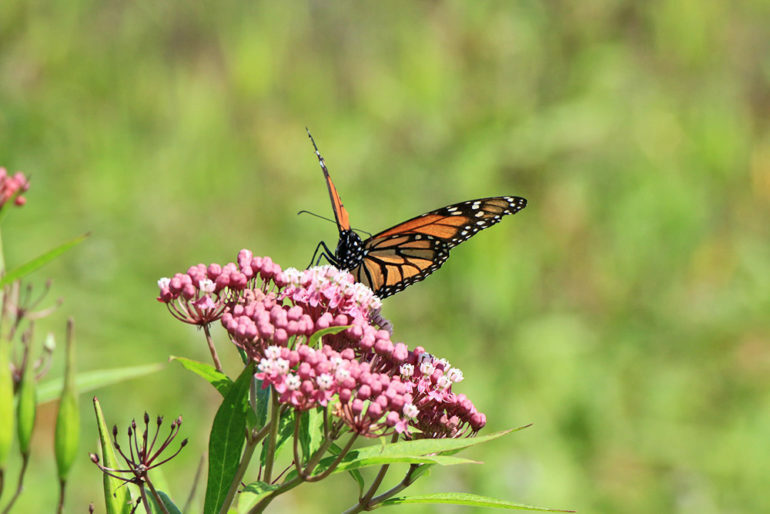 A conservation goal included in a national pollinator strategy announced last year aims to increase the number of milkweeds to support a monarch population of about 15 acres. This would cut the probability of quasi-extinction in half, according to the research team’s projections, but would require something on the order of nearly 2 billion additional milkweed plants on the landscape, Pleasants says. Brice Semmens, of the Scripps Institution of Oceanography, is the lead author of the study. The research was conducted as part of the Monarch Conservation Science Partnership, a US Geological Survey-led team of scientists and resource managers working to inform the management of monarch butterflies.